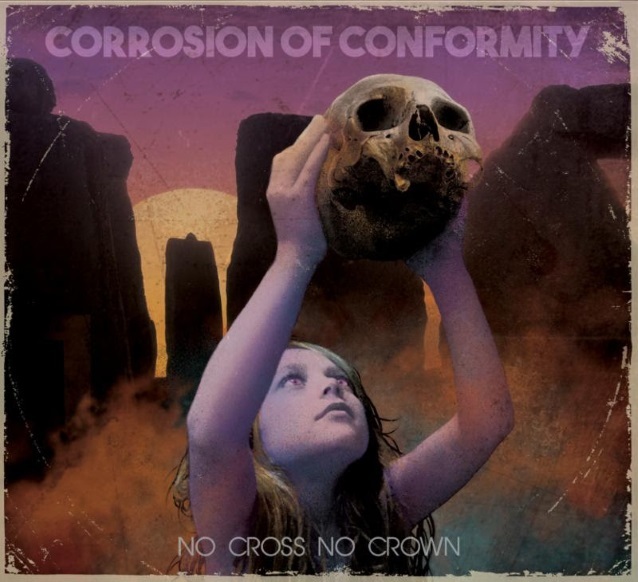 CORROSION OF CONFORMITY will release its new album, “No Cross No Crown”, on January 12 via Nuclear Blast Entertainment. It will be made available on CD, digital, vinyl, and cassette formats. The song “Cast The First Stone” can be streamed below. In advance of the release of “No Cross No Crown”, CORROSION OF CONFORMITY will join BLACK LABEL SOCIETY for a mammoth North American live takeover. The tour begins December 27 in Denver, Colorado and will wind its way through nearly four dozen cities, the journey coming to a close February 27, 2018. Additional support will be provided by EYEHATEGOD and RED FANG on select shows.